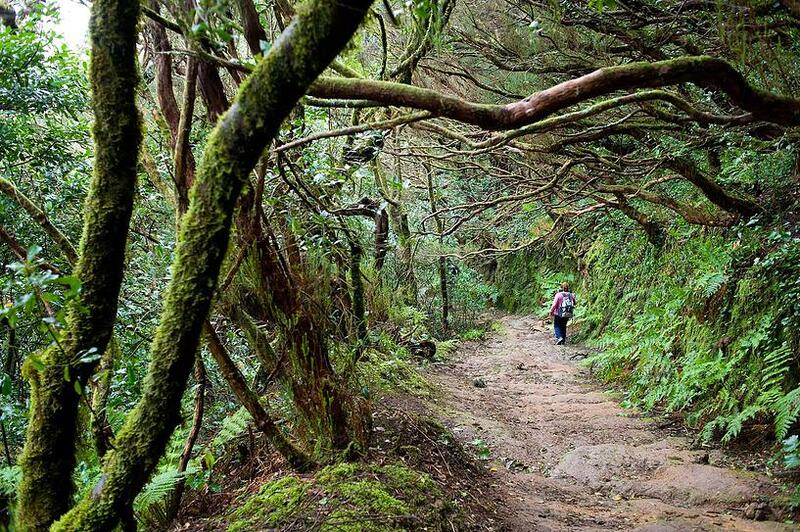 Private tour Around the Island Tenerife - if you will wish, we will take a walk in the endemic jungle in Anaga mountains. Private tour Around the Island Tenerife - we will stop in the El Fronton restaurant to have a brake sitting on the terrace hanging 300m over the ocean. 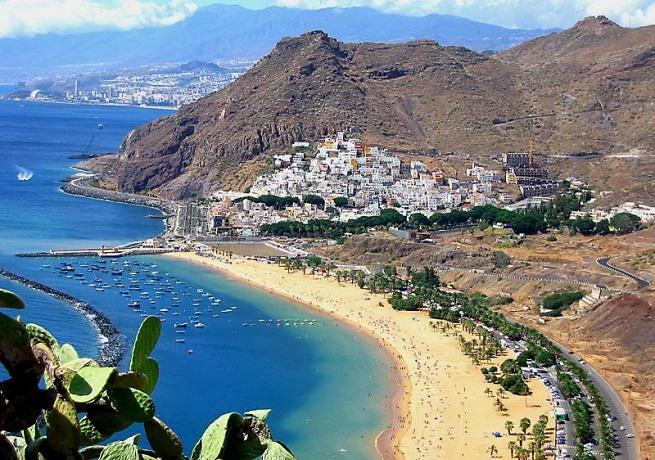 Private tour Around the Island Tenerife is exciting full day VIP Private tour by luxury Mercedes Benz limousine or a van around whole the island’s coastline. 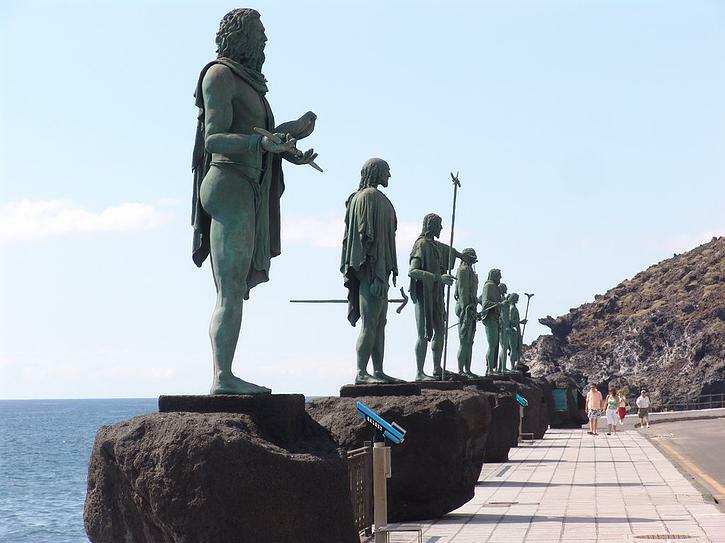 The private excursion starts and ends at your hotel at any part of Tenerife. 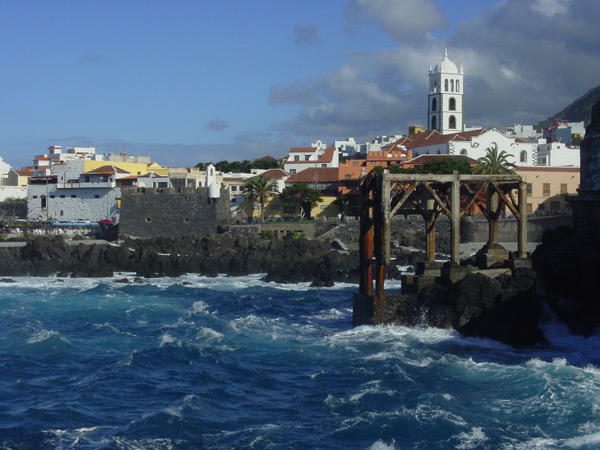 Even similar to the Grand Tour Tenerife this private luxury tour is simply easier and lighter way to discover Tenerife, especially for people with seasick problem. 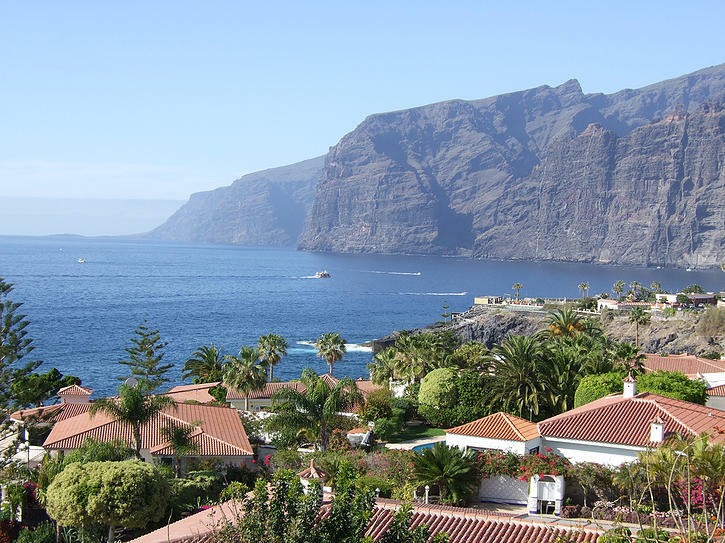 We will firstly visit observing platform in Los Gigantes to make beautiful scenic photos with highest cliffs in Atlantic ocean. 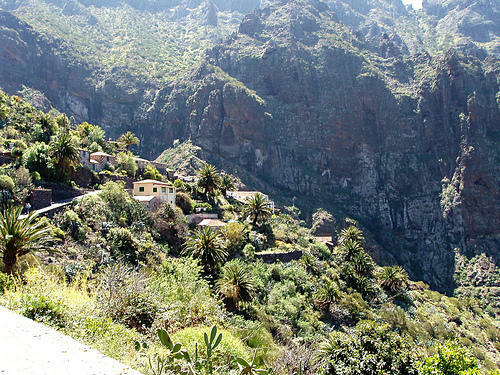 Then we will drive through Masca village founded by pirates by extremely curvy, narrow road with incredible views of cliffs and Teno Mountains to Garachico, first capital of Tenerife, destroyed by the last big erruption of the volcano 300 years ago. 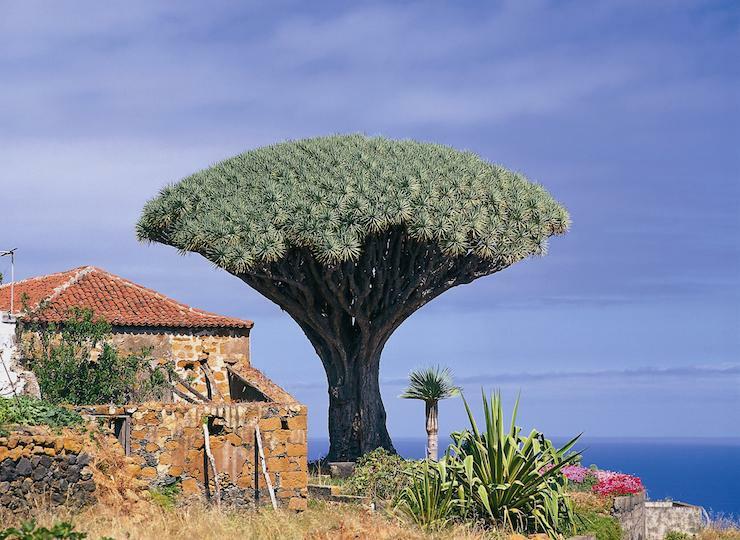 After visiting historical part of this quiet town Private tour Around the Island Tenerife will take us to Icod de Los Vinos to see the biggest and oldest Dragon Tree in the world. 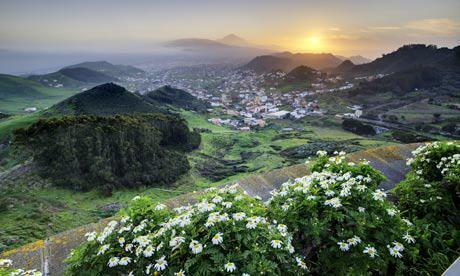 Later we take highway to move into a different world – to Anaga Mountains and jungle. 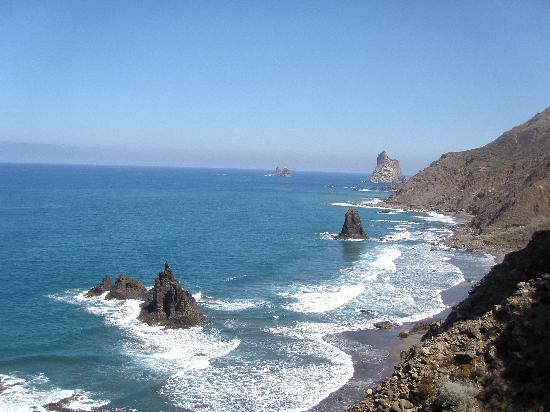 This is the wildest and the less known by tourists part of Tenerife. We will enjoy scenic views, listen birds and walk in the jungle, if you will wish and later will visit the two far villages of Taganana and Benijo to feel authentic atmosphere of the island and take dinner or a coffe break some 300m over the waves of the ocean. Going back to your hotel, we will stop at other interesting sightseeing points up to your wishes to make photos and enjoy incredible views for a while. 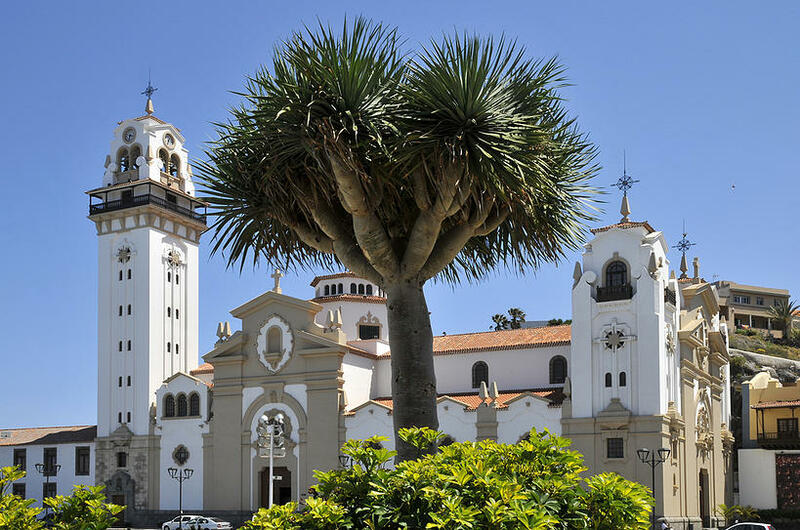 And, if you wouldn’t be tired, by the way home we will visit Candelaria town with its beautiful main square. 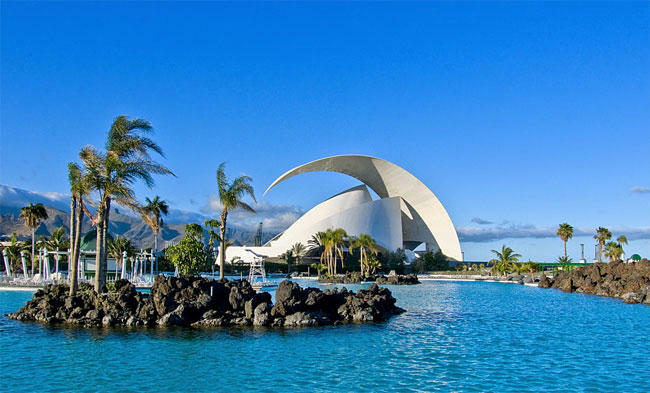 In order to make your booking of Private tour Around the Island Tenerife easy and comfortable Tenerife Host use the most advanced and user friendly booking platform TripsPoint.com where you can easily check last actual prices, the tour availability, required booking deposit and book this tour. 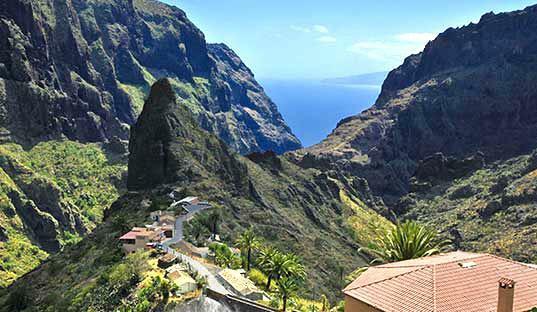 To get more information of Private tour Around the Island Tenerife and do booking, please, click the button ‘Book Now’. You will be taken to the tour page at TripsPoint.com where you can easily book the tour. 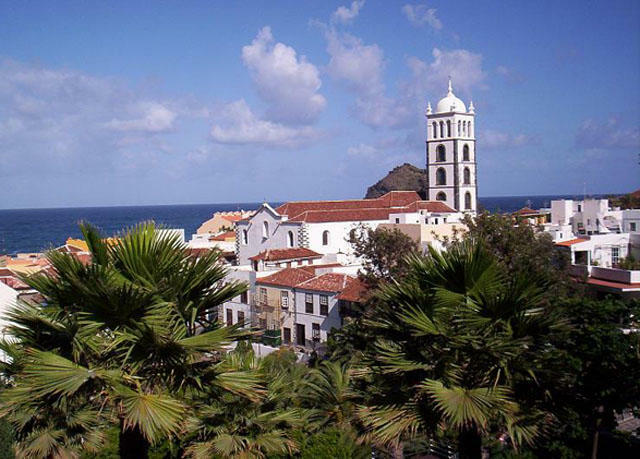 Once the booking of Private tour Around the Island Tenerife made at TripsPoint you will get your tour Voucher / booking confirmation with all details, including exact pick-up point, pick-up time, pick-up point map. 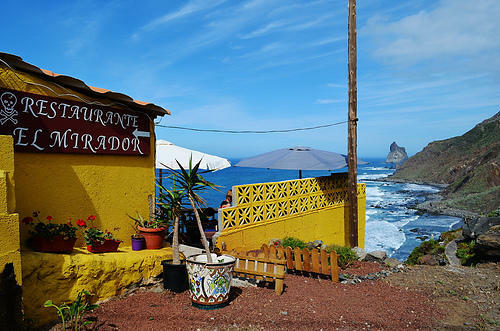 In the case of any questions about private tour Around the Island Tenerife, please, feel free to contact us.